The Altima Chase initiative is part of Nissan's Ride of Your Life campaign, which kicked off last May. NASHVILLE, TN: Nissan has launched a social media scavenger hunt game to engage fans and get them excited about its 2015 Altima. 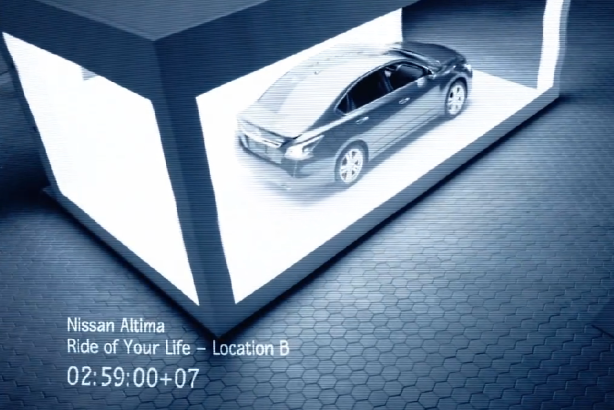 The Altima Chase initiative, which is part of Nissan’s Ride of Your Life campaign that kicked off last May, invites consumers to track down a missing Altima car that was stolen by a fictitious mischievous fan known as the Mastermind. Altima tweeted and posted a video of the Mastermind stealing the vehicle on Monday afternoon. For the next three weeks, fans can solve clues on Nissan’s and Altima’s social channels by following the hashtag #AltimaChaseSweeps for a chance to win the car, as well as other brand-related gear and cash products. "Our fans like to have fun," explained Scot Cottick, senior manager of social media marketing at Nissan. "When we can put together a recipe that has a little bit about a product, a little bit of fun, and something that is breakthrough and different, we find that our fans react." Nissan partnered with its social media marketing agency Zócalo Group on the effort. The Ketchum subsidiary created the Altima Chase campaign’s social media videos and is working on some PR efforts, along with Stratacomm, said Cottick. Madelyn Dow, account director at Zócalo, said the clues "taunt fans and have a playful tone," which will help drive fans to participate in the game. "This was intended to support the traditional Ride of Your Life campaign," said Rob Robinson, senior specialist of Nissan social communications. "It’s supposed to reflect the look, style, and feel of the campaign, but also bring an element to it that’s naturally social and fits in socially in a way that a traditional campaign may not." Nissan’s Ride of Your Life campaign, which will run throughout the month of May as it did in 2014, was introduced with a long-form video created by Zimmerman. In March, Nissan was one of the top five brands ranked by the percentage of engagement from its social media followers, according to data compiled by SocialRank.